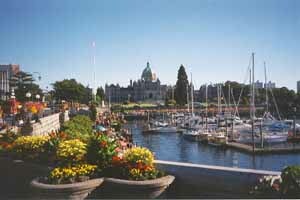 No, it’s not the Sparks Marina it’s the beautiful city of Victoria BC Canada, home of good tippers. An All-Star and 3 starlets: Jerry Rice was among the Celebrities at the Golf Tournament at Lake Tahoe this year. Harrah’s and Harvey’s were crowded with Big Names — Bob Dylan was doing two shows a night and even the seldom-seen Tony Clifton made an appearance. While I was conducting this important research I came across this Canadian take on national stereotypes. And it occurred to me that in the USA there are probably half a million Mexican restaurants and not a single Canadian restaurant. It turns out there aren’t any in Canada either. In a small city like Victoria you can find food from everywhere around the world — even Tibet — but if you want blubber and beans you’re out of luck. 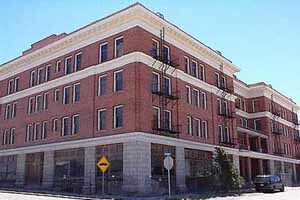 The magnificent Goldfield Hotel is on the Auction Block. in town and out will be auctioned off (but with no guarantee of clear title). The magnificent Goldfield Hotel is the most spectacular property on the list, but the Coaldale Junction truck stop is also for sale (with some EPA clean up requirements attached) and there’s Fish Lake Valley acreage too. I’m planning to be there, hoping for a stake in Goldfield. If you’d like to be a modern-day Tex Rickard, e-mail for information or call 800-884-4072. 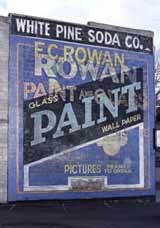 Different businesses have advertised on this Ely wall of time by painting over the previous advertisements with white wash. The years eroded the white wash and left a collage of ads. This interesting mural of time was recently enhanced by Muralist Paul Ygartua. Masonic Lodge Bldg. We forwarded John’s note to our friends in Ely (Nevada, that is), and we can only wonder how White Pine County compares with Cambridgeshire. Perhaps we will find out. 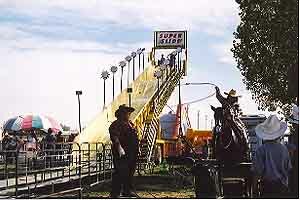 Head for the Hearts O’ Gold Cantaloupe Festival, old-fashioned fun over Labor Day Weekend (August 29 – September 1) in Fallon. 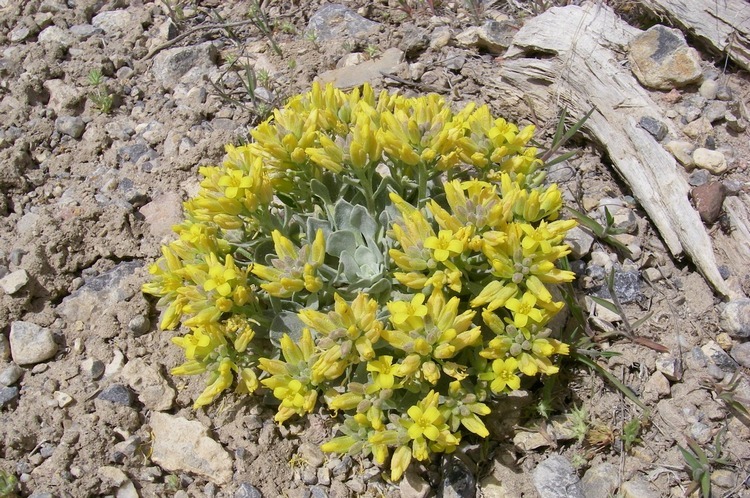 The Great Basin. Journalist Jon Christensen’s multi-faceted site provides many glimpses of our unique part of America. State Archivist Guy Rocha debunks some of our most sacred and reliable Nevada Myths at this informative website. I’ve worn out a dozen erasers trying to bring The Complete Nevada Traveler into compliance.